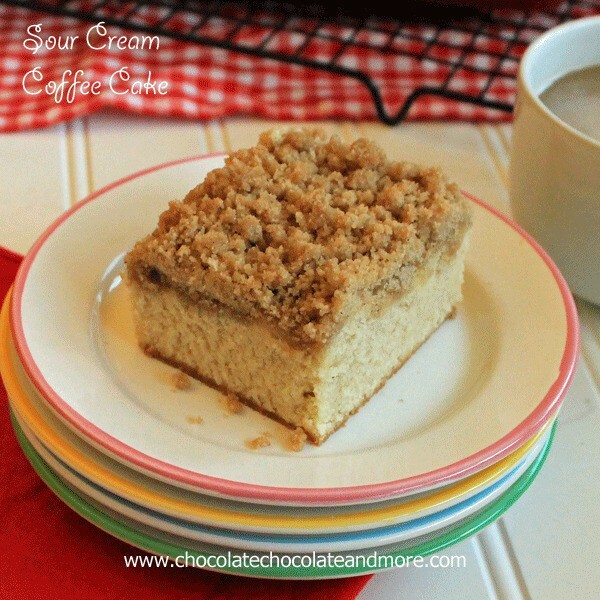 Sour Cream Coffee Cake-sometimes it all about the crumb topping! The holidays are my favorite time of year. Starting the day after Halloween, I can officially get my bake on. Not that I don’t bake all year long but during the holidays, it becomes a family affair. If you come to our house during the holidays, chances are, you’ll end up in the kitchen making up a batch of cookies to take home. They always say everyone gathers in the kitchen. It’s so true. It’s where all the good stuff is. My kids have been cooking and baking since they could stand on a chair. The kids will dig out their favorite recipes. Each child has a specialty. For my son, he’s the only one allowed to make Buckeyes. The girls both go for the cookies. Mexican Wedding Cookies, Gingerbread Men, Sugar Cookies. There is no end to the baking. I love making cakes. Pound cakes, Coffee cakes, any cake that I can add to a cookie tray. We usually have a cookie baking day. The girls will have friends come over, we’ll throw a little flour on our faces, eat some cookie dough, lick beaters, then when the cookies are done baking, enjoy a few with some ice cold milk. It’s our own private cookie exchange. We’ll package up what’s left in cute containers or holiday plates then deliver our goodies to the bank, to city hall, the police and fire departments. Baked goods just make the best gifts. Everyone has to help clean up too. It’s no fun getting stuck in the kitchen doing all the dishes while everyone else is off playing. Making sure food doesn’t stick is not only important for the quality of the goodies but for ease in cleaning up. Using PAM Cooking Spray makes that easy. Cakes just pop out of pans, cookies slide off trays, and candy doesn’t taste greasy. Did you know that PAM leaves up to 99% less residue buildup than margarine or bargain brand cooking sprays? It ensures that your dishes turn out right with superior no-stick results so you can concentrate on the fun parts of the holidays, not the clean up! This Coffee Cake is perfect for a weekend morning, to take to the office or to leave a slice out for Santa. (I’ve heard from a reliable source that Santa likes more than just cookies. ) Clean slices are a piece of cake making this easy to serve. Using a pastry blender or food processor, combine all topping ingredients except nuts until it resembles coarse sand and clumps together. Stir in nuts, if using, and set aside. Cream butter and sugars together with mixer until smooth and creamy. Add in eggs, one at a time and then vanilla and sour cream. Combine flour, baking powder and salt. Add flour mixture to batter until all combined but do not over mix. Spoon batter into a 9x13 pan sprayed with Pam, gently spread to cover bottom of pan evenly. Sprinkle topping over batter. Bake in a preheated 325 degree oven for 45-50 minutes, until toothpick inserted in center comes out clean. Let cool before cutting and serving. What will you be baking up this holiday season? Be sure to visit the PAM Cooking Spray page on BlogHer.com where you can read other bloggers’ reviews. This post was sponsored by Pam and Blogher but all opinions are my own. 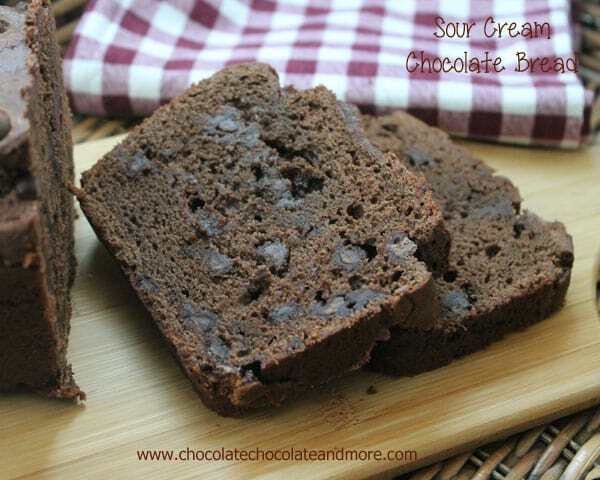 I love the simplicity of this, I always find that sour cream makes for the moistest cakes! i will be baking stollen and sugar cookies and many other traditional family recipes. 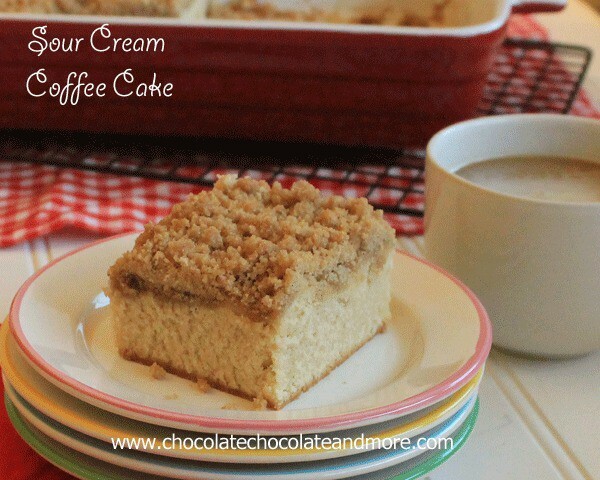 I LOVE a good coffee cake and yours looks perfect and classic and SO delicious! 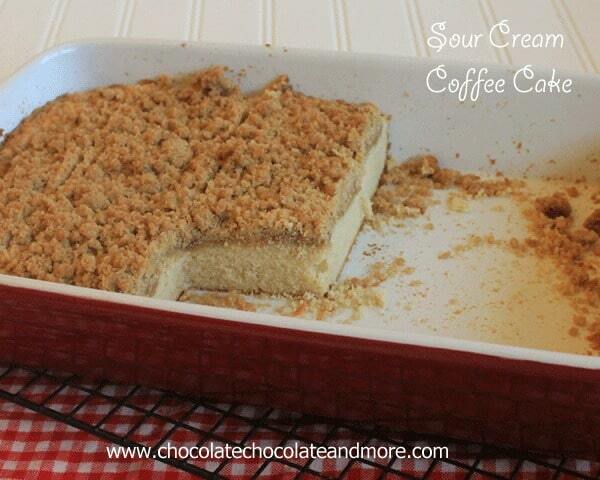 I love sour cream coffee cakes, okay I love coffee cakes in general. It’s the crumb topping that gets me. Your cooking baking sessions with the girls reminds me of those days with my mom as a kid when we used to spend all day baking for the holidays. My short cut is making cookies in advance and then freezing them, I also tend to do that with scones, fruit pies and pound cakes as well! I also admit sometimes when I am short on time to using ready made frosting. I’m going to make gingerbread. I’m going to be baking apple pie and pumpkin pie! I’m getting my daughter to make this next week for Thanksgiving morning. This looks perfect! 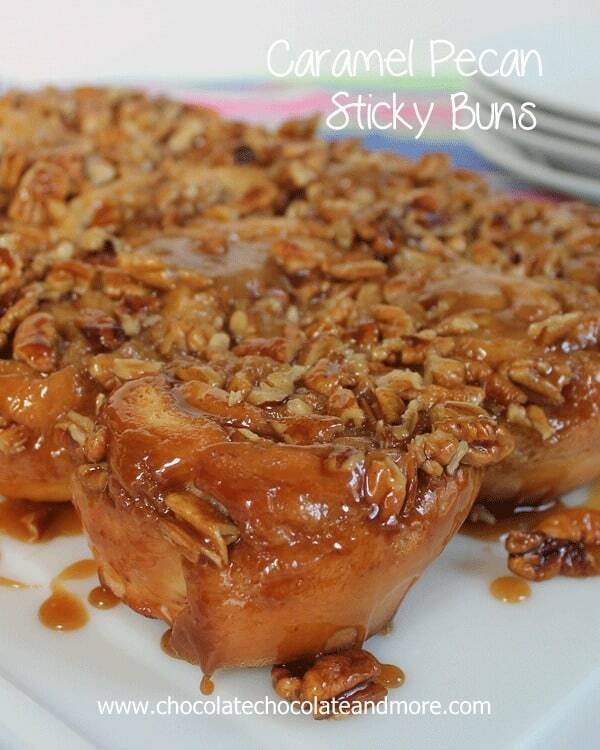 I love to do a makeahead egg/ham casserole for xmas day and sticky buns! I love too bake all year round.. however during yhe holidays I bake a lot of pumpkin muffins amd cookies. The best recipe of all though is my mamas sugar cookies recipe. We make homemade frosting and the familym loves to decorate them. Its such a joyful time. You are right… all do gather in the kitchen. 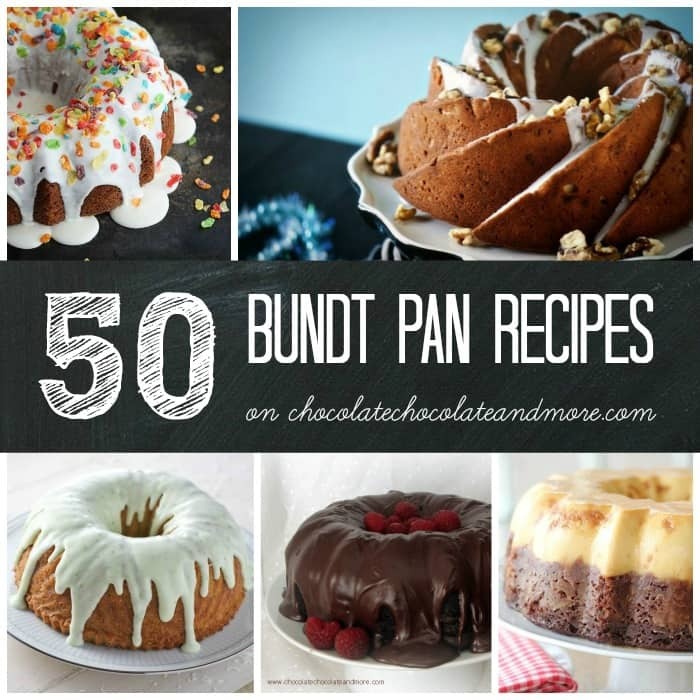 I will be making your Sour Cream Cake in a Bundy pan and putting the crumb and nuts in the middle of the cake instead of on top as you have on your sheet cake. My Uncle fixed his sour cream cake that way, but I lost his recipe in our house fire. . I would use your prize to buy more kitchen cookware. Thank you kindly for the recipe and opportunity to win a prize at the same time! Some of the cookies I will be making: thumbprint cookies; a salted caramel shortbread bar; oatmeal tassies; peanut butter brownie cups; and peanut brittle to give as gifts; Happy Thanksgiving and Merry Christmas! Looks delicious,adding choc chips to mine.. This coffee cake looks amazing! This is awesome because I have sour cream that i need to use up! ps don’t put me in the giveaway I am all set……..but, good luck someone will be very happy to win that visa card. We love our roll out sugar cookies! It’s a family tradition that we never skip. That looks so good!! I’m making chocolate crinkle cookies this weekend, and pumpkin pie next week!! Haven’t made a coffee cake since high school, a long time ago, but my favorite one was made with sour cream. This recipe takes me back to those days. I always make fudge and peppermint bark. I’ll be baking cookies and fudge. We would be baking up gingerbread cookies and pumpkin pies this holiday season. 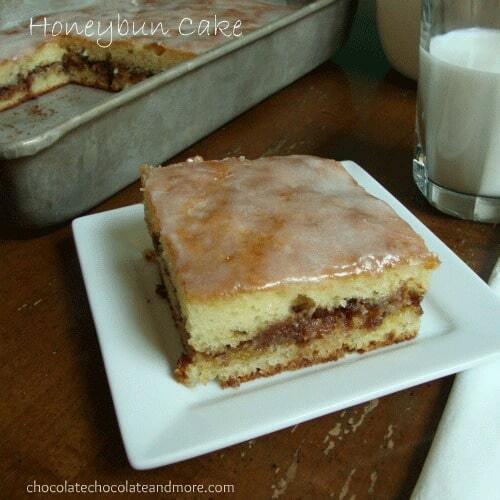 I love holiday baking, I’m making this coffee cake right now! Cinnamon rolls, for sure! Yum! We’re going to try baking raspberry chocolate meringues this year. Should be interesting! 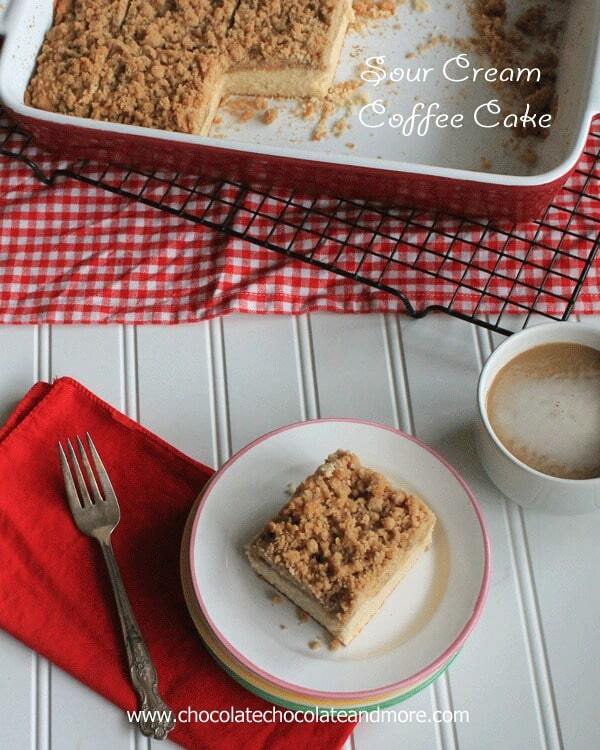 I love coffee cake, and this one looks so delicious. I’ll probably be baking this pretty soon, and usually for the holidays I whip up a batch of my favorite pumpkin cookies. I will be baking cookies, cookies, and more cookies! Mostly I will be baking pies (apple, pecan, pumpkin) but also myriad cup cakes and several bundts are expected as well (and some mini bundts) – bring on the Pam! xmas sugar cookies…. and maybe some pumpkin pie! Pies, cut-out cookies and caramel brownies! I am going to be making pumpkin sheet cake! Its our favorite! I’ll be baking cookies and this coffee cake. I’ve wanted to try a coffe cake recipe. My daughter is having some friends over, so today will be perfect. I bake all year round. I like making cookies and brownies for the fire dept, where my husband is a lieutenant. This year I am also making cookies and brownies for a cookie exchange at a hospice house. And of course I’ll be baking and candy making for the fire dept gifts! Brownies, mint brownies, dark chocolate cruising oatmeal cookies, soft gingerbread drop cookies, peanut butter balls, etc. I love it all! Pies, apple, cherry, pumpkin, & chocolate pudding. Cookies, chocolate chip, oatmeal raisin, peanut butter, & sugar cookies. Fudge, chocolate & peanut butter. Thank goodness all of this does not stay in my house! I will be baking lots of sugar cookies. I always make homemade apple and cherry pie for the holidays.. love making them and my family loves eating them. Besides the cookies, I’ll be baking up a Bacardi Rum Cake for Christmas day! I’m known for cheesecake in my family, so I’ll be baking quite a few of those this holiday season! Cookies and party mix and fudge! I will be baking red velvet cupcakes. i will be making cookies! I will be baking pies and cookies. I don’t actually do much baking of sweets this time of year, but I do love to make my veggie bbq meatballs and smoked gouda fondue! yum! My daughter does all the baking – cookies of course, and hopefully bread pudding! I baked Panettone and lots of different cookies for the holidays. Since my boyfriend is a hunter, we usually always throw some deer in a crock pot with onions and garlic. Adds a different choice from turkey or ham. This Holiday season, I like to make fruit crisps using apples or blueberries; so delicious at a Christmas brunch or for a late New Year’s eve snack! I’m making peanut butter blossoms. I made Pistachio Pudding cookies with maraschino cherries – oh yum! I made some sugar cookies and Andes mint cookies. I’ll be baking sugar cookies! my famous oatmeal chocolate chip frosted cookies!! I will be making pies and cakes. I will be baking all my grandmother’s most famous recipes! My husband and I bake rum cakes every year for family and friends. I baked Pumpkin and Pecan pies. I will be making brownies and vanilla cake. I will be baking a pumpkin roll. Sugar cookies, to decorate with my daughter. I made chocolate drop cookies & mint bark for the holidays. I made a tasty pumpkin bread. Sweet Breads that we made to give out to friends and family. Cookies and pies. I made a few batches of Peppermint Bark. My first time. Not too bad, but needed more peppermint. I will bake a pie. Sweet bread and a lasagna. I would love to make this for a party! We are baking my husbands homemade apple pie with his homemade whipped topping. Along with pumpkin pie, cheesecake, and rice and broccoli casserole. I baked gingerbread cookies, cocoa snicker doodles and candied pecans. I always bake cookies for my children during the holidays. We’ll be making tons of cookies–choc chip, pb, sugar cookies! I will be baking pecan and sweet potato pies. I’ll have to try this recipe because I love coffeecake and this recipe sounds really good. I didn’t do as much baking this Christmas. I usually make lots of cookies for the local cookie swap, but I didn’t do that this year. I did make some chocolate fudge and a blueberry pie and some sugar cookies, but that was about it this year. Thanks for having this contest. I made a browned butter sweet potato casserole! It was delicious! 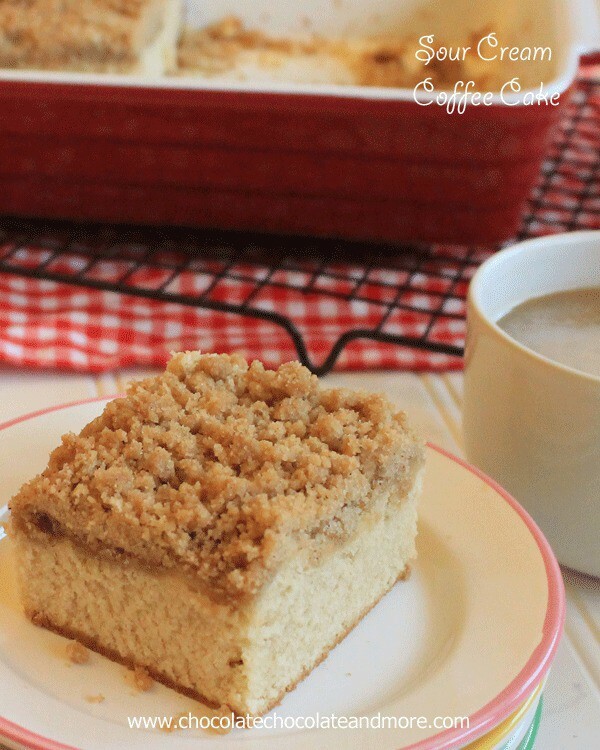 I love coffee cake with a good cup of tea. I got together with 4 friends and we made 14 kinds of cookies/candy and had a total blast. 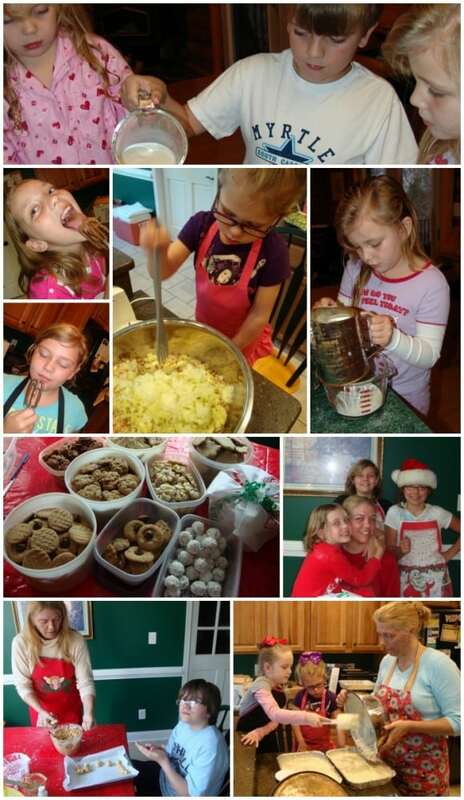 We are already starting to plan for Cookiepalooza 2014. 🙂 My fave was the dark chocolate fudge with sea salt. I like to make pumpkin roll. I’m baking a chocolate pecan pie. Unfortunately, no baking for me this year. My oven just died. Usually I make all kinds of cookies and breads. I absolutely love ginger snap cookies during the holidays! I always find that sour cream makes for the moistest cakes! I have made Scottish shortbread, and dulce de luche cheesecake. There’s no liquid in the cake? It can’t be very moist. Maybe a little milk? The butter and sour cream are the only “liqiuds” in this cake. It’s dense cake but very moist.